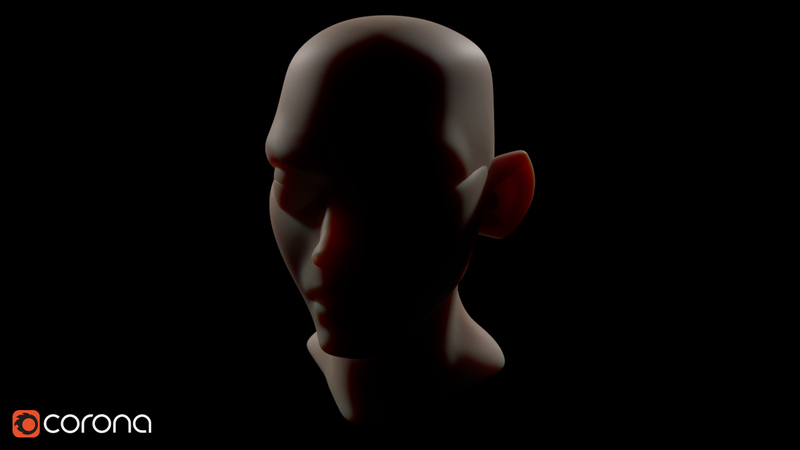 What is Subsurface Scattering or SSS for short? 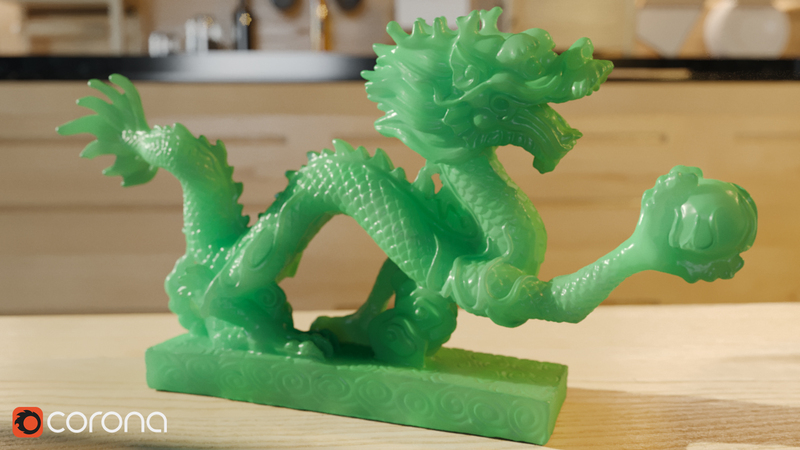 Subsurface scattering is the effect of light penetrating a surface that has a certain amount of translucency. Instead of light being reflected like you would see from a metallic surface, the light in this case enters the subject, and bounces around before exiting. 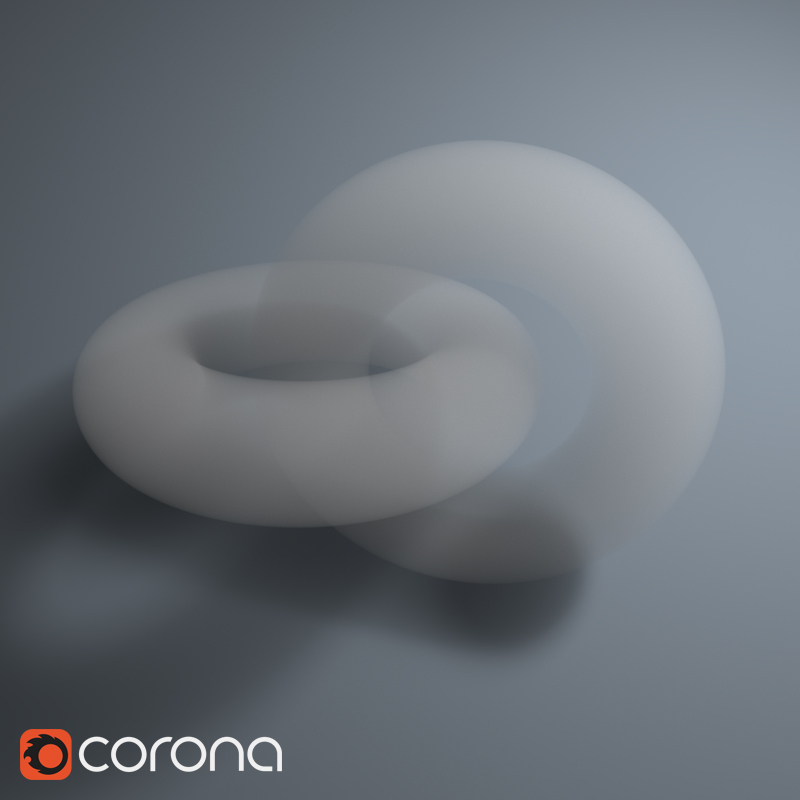 Corona has two scattering modes: Volumetric and SSS. 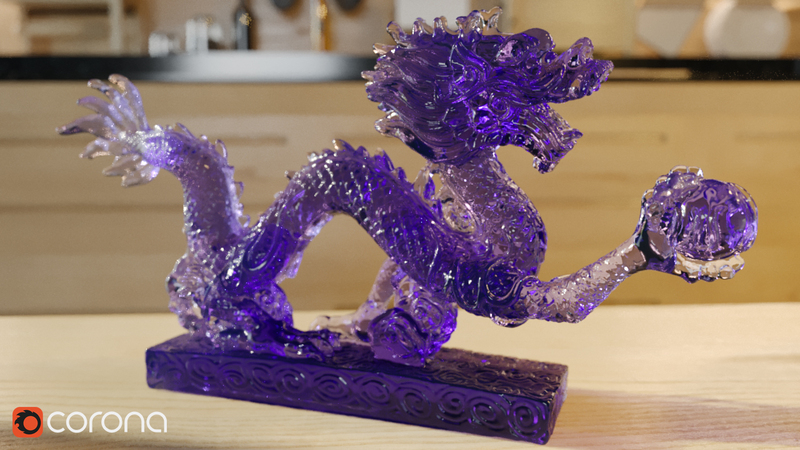 Volumetric mode relies on translucency, refraction and opacity. 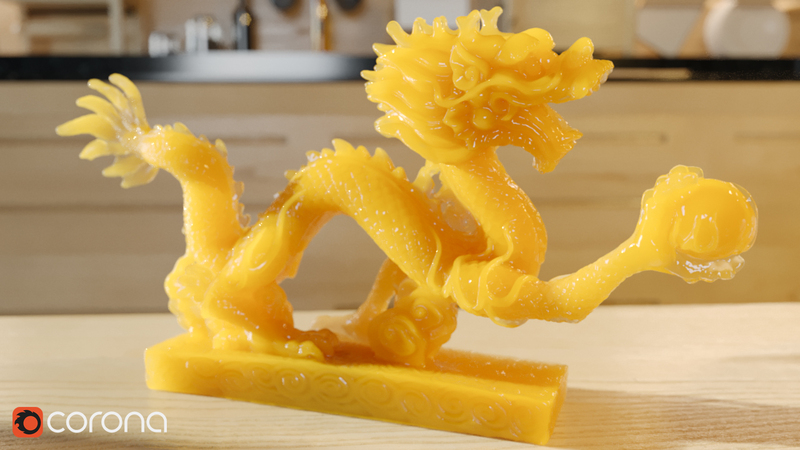 This can be used for creating materials such as orange juice, clouds, plastic and even glass. 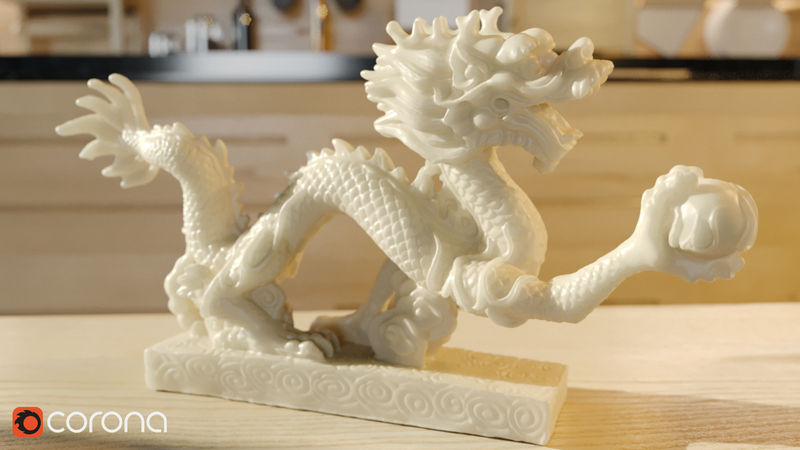 This material can be broken down into three controlling parameters: Absorption, Distance and Scattering. Absorption Color: How the light will look as it passes through the distance amount. Distance: How far the light will travel through the surface as it becomes more and more absorbed. The lower the distance value the less the light will pass through leading it to be more opaque. With a higher distance value the further the light will pass through, giving it a lighter appearance or less opaque in this case. Scattering: How the light color will look as it's being bounced back out of an object. Within the Scattering settings are additional parameters to control the light even further. Color: The color of light after being scattered. Directionality: Tells the light in which direction to scatter. By default it is set to 0 which is scattering the light evenly. A positive value is telling the light to scatter forward on it's original path, and a negative value is telling the light to scatter back on it's path. Single Bounce: After the light has been scattered it can still pass through an object again, by turning on the Single Bounce option this will not allow the light to be scattered a second time. 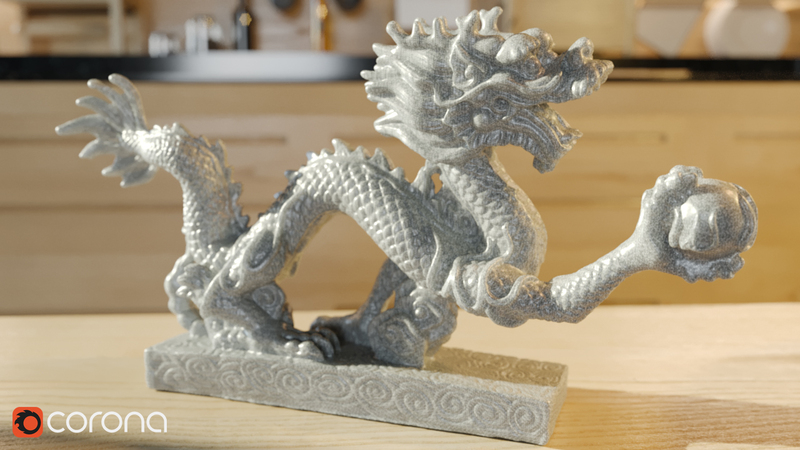 As a result it may take away from realism and darken the material but render times may be faster. 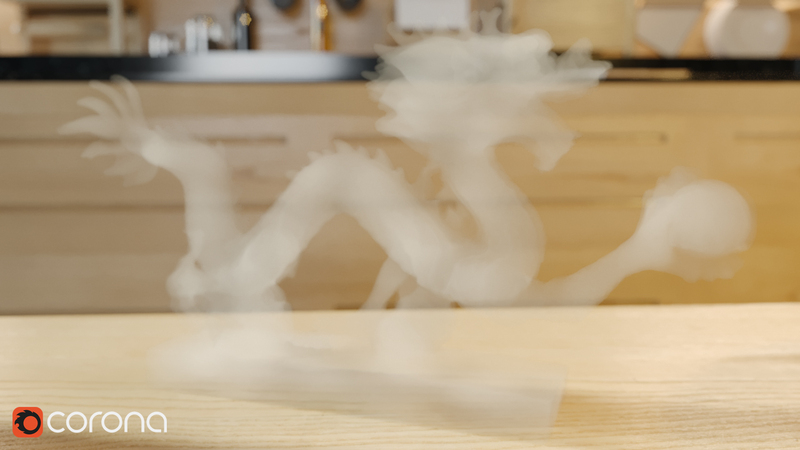 When opacity is lowered and volumetric mode is used, the object's volume will remain visible. 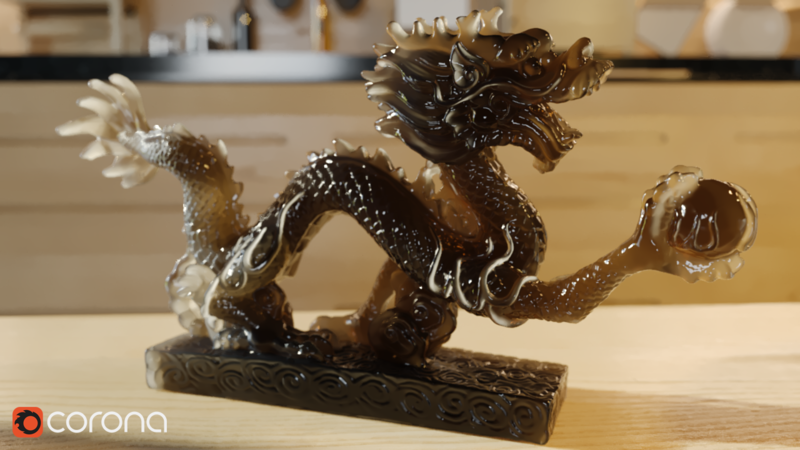 SSS mode is quick and easy to setup, this can be done without the need of translucency, refraction or opacity. Commonly, the surface of an SSS object is somewhat opaque and it's inner body or volume is thick. For example: skin, wax, strawberries, jade. When opacity is lowered and SSS mode is used, the object's surface becomes transparent, revealing that there is no real volume underneath. This material can also be broken down into three controlling parameters: Fraction, Radius and Color Scattering. 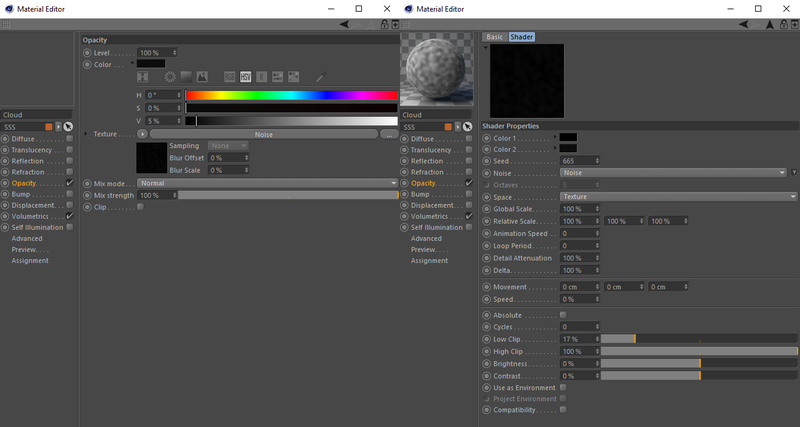 Fraction: Controls how much the material’s color will be affected by the subsurface scattering as opposed to diffuse reflection. 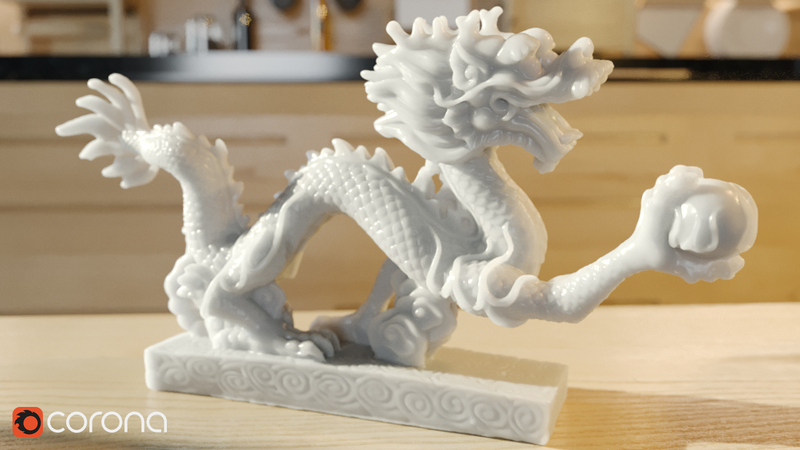 A value of 0 results in no subsurface scattering at all, while a value of 1 results in full subsurface scattering and no diffuse component. 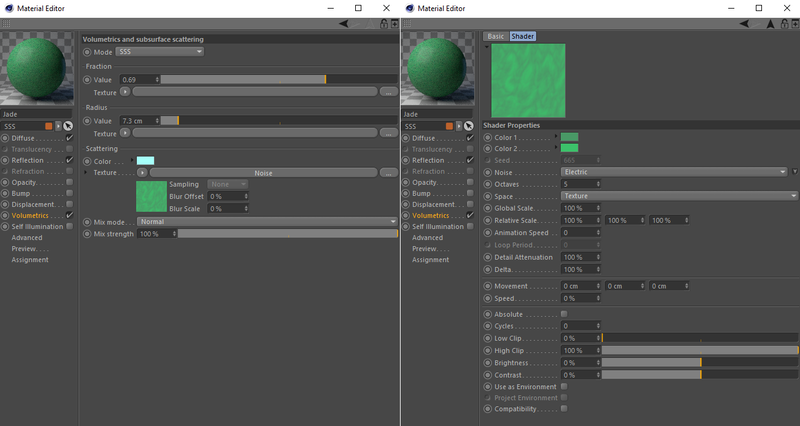 Radius: Defines the subsurface scattering radius – how far a color will scatter from a place that was hit by a light ray. Scattering Color: Defines the scatter color of subsurface scattering – the color that can be observed in the shadowed parts of the material. 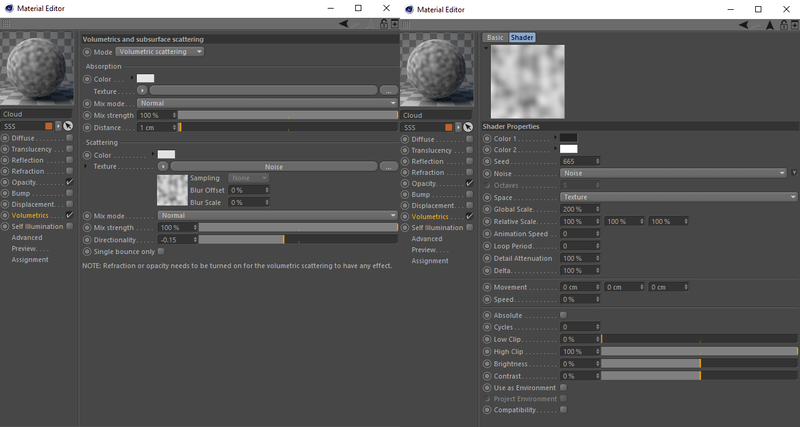 Either of the two modes mentioned above can be found within the material settings under volumetrics. 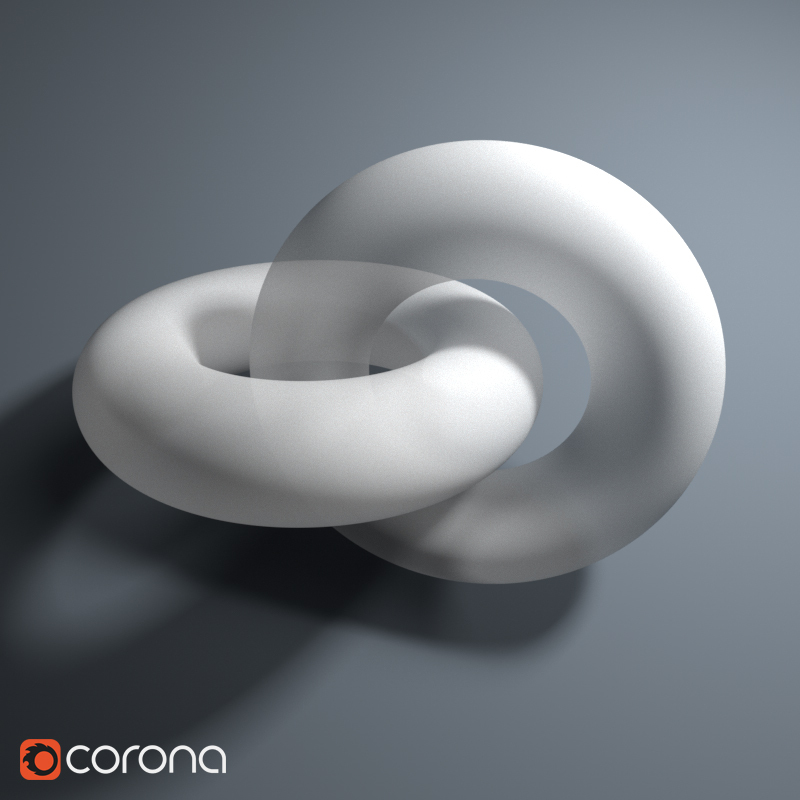 How to get rid of SSS faceting with Corona Renderer in Cinema 4D?